"P. S. I Love You" had a chart run when "Love Me Do" started falling down the charts. When "I Don't Know Why I Love You" performed below expectations, Motown flipped it over and "My Cherie Amour" became a huge hit. Of course there are many huge hits that started out as flip sides such as "Rock Around The Clock", "Runaround Sue", "The Wanderer", "Ooh Child" and even "Unchained Melody" by the Righteous Brothers. Today's generation will never know, understand or appreciate the sheer joy in discovering a great B-Side on the latest 45 you bought back in the day. After we ran our official ranking of The Top 200 Biggest Two-Sided Hits Of All-Time, we followed it up with our Forgotten Hits Reader Poll ranking The Top 200 Favorite, Forgotten B-Sides Of All Time. And it could not have been a Top 40 Hit on its own. For a while, this became a VERY popular feature on the radio, too ... several of the jocks on our list counted down various configurations of this list ... in fact, we even flew out to New Jersey and did a live Top 20 Countdown on Dave The Rave's "Relics And Rarities" Program ... which featured call-ins from many of the artists represented on the list. About two sides of a record both reaching #1, in 2003 and 2004 Hey Ya! and The Way You Move by Outkast each reached #1 in separate chart runs. They were part of the same physical single. Yep, I forgot all about that one! And this is the perfect example of releasing something for everyone ... Frannie absolutely LOVED Andre 3000's A-Side "Hey Ya!" ... and you would often find her shakin' it like a Polaroid Picture when this song came on ... while I preferred the old-school feel of Big Boi's "The Way You Move" that graced the other side. Sounds like local folks are already becoming disenchanted with our brand new Me-TV-FM ... which is really too bad because they are SO close to doing this right ... they have, without question, the most expansive play list in the city of Chicago ... literally THOUSANDS of songs have already been aired, a very large percentage of which haven't received airplay in ages ... decades in some cases ... and I can honestly say that I am absolutely AMAZED on a daily basis by something they've pulled out of the "hits archive" to feature again ... but ... and it's becoming a bigger and bigger but ... MOST of the time there doesn't seem to be anyone watching the store. More and more often I find myself wondering if anybody working for the station is actually LISTENING to the station!!! I've also heard things like "Strawberry Letter 23" at LEAST 23 times now in the past two weeks ... (worse yet, it's being used in a television commercial now, too!) ... and at least another dozen songs played over a dozen times in that same time frame. When you have a play list this extensive, there is NO reason to have to resort to this ... and I really don't think it's intentional ... it truly feels like nobody's paying attention. As stated in this column before, if this is still the "construction zone" (as they continue to refer to it) then why aren't things improving? If anything, they seem to be getting worse ... and it's frustrating many of the listeners who switched over to enjoy this newfound variety a couple of weeks ago. And the obscurities seem to be coming up far more often, too. When you listen to a block of six or seven songs and don't recognize three or four of them, you're absolutely going to lose your audience. It isn't just a case of programming something different ... it actually has to SOUND good coming out of the radio. Simply put, most of these DON'T. And now they're broadcasting on TV, too ... channel 877 (same as their 87.7 radio signal) on Xfinity Cable ... which is a simulcast of what's playing on the radio that you can now enjoy as background music when you're at home (with no fear of signal drifting ... which I have yet to experience, by the way ... but still seems to be a problem in certain areas of the city according to other Forgotten Hits readers). I'm not quite sure I get the concept, however. The whole time the music is playing, the screen displays the current traffic pattern. If you're home watching and listening to this on your TV, you are not IN traffic ... so how is this perceived to be a worthwhile "service" to the community? The only time you care about traffic is when you're IN traffic ... NOT when you're sitting at home! They'd be better running something similar to Xfinity's Music Choice Channel, which show photos of the artists and offers interesting tidbits about them and the song that's playing. Seems to me not much thought went into this "cross-over" concept. I heard Mark Zander on The River again ... how exactly does THAT work??? I would think that it would be kinda hard to keep track of what your new radio station is playing if you're off spinning the hits somewhere else on the dial! Naturally, I have an allegiance to WLS FM, since I host Notre Dame football on the 890-AM side. However, being a guy who can't get enough rock 'n roll, I have sampled the new 87.7. However, I conceded defeat when they played a typically listless tune by Seals and Croft followed by a number by the immortal Gogi Grant. Gogi Grant? What's next - Perry Como sings Lawrence Welk? I swear I've heard "Ice Man" Jerry Butler sing "Moon River" at least 11 times. "Your Precious Love" apparently isn't on the station's play list. The station has yet to define its branding, so I'll cover the tabs. 87.7 is background music, made for the nursing home of your choice. I'll hang up and wait for the station to get nasty and drop "Hotel California" on me. Frankly, the outlet might have been better off staying as a lackluster all-sports station. Bring back Ben Finfer or some other non entitity? Over / Under? The experiment will last 10.4 months - maybe. I am already getting tired of the me radio station, and find myself switching more and more to other stations ... too redundant, too much of certain groups and too much LITE ROCK! While we haven't heard back from anybody at Me-TV-FM about our on-going radio commentary, we DID receive a press release from them this past week regarding a special night of programming they're putting together for the television network ... here's the scoop on an upcoming special featuring Vince Gilligan and some of his favorite classic TV shows. Here’s some TV news for you about Vince Gilligan and MeTV Network. MeTV, the country’s top rated classic TV network, is seen in 93% of the country and has 169 affiliates. Vince is a fan of our network and together, we are showcasing four classic series that were influential to him: The Twilight Zone, The Honeymooners, Taxi, and Columbo ... during this four hour ‘Vince Gilligan’s Island of MeTV’ special on Sunday, April 5, a day before the season finale of Better Call Saul. Bob Odenkirk also makes an appearance in this special. Hosts a Night of His Favorite MeTV Shows April 5! March 26, 2015 - MeTV, Memorable Entertainment Television, America’s #1 All Classic TV Network, brings the star power of New Hollywood to viewers across the country with the ‘Vince Gilligan’s Island of MeTV’ special event this April. Vince Gilligan is the visionary creator of the contemporary hit series Breaking Bad and co-creator of the new series Better Call Saul on AMC. Vince is one of pop culture’s most talented and influential voices and his shows have set the benchmark for exceptional TV with iconic characters. It’s a perfect fit that this prominent and popular storyteller would be a fan of the classic television series and memorable characters showcased everyday on MeTV. MeTV invited Vince to pick some of his favorite shows from our deep library and host a special night for fans we call ‘Vince Gilligan’s Island of MeTV’ airing Sunday, April 5. "Shows like The Twilight Zone and The Honeymooners made a big impression on me growing up. Now, decades later, I find myself staying up late into the night re-watching old episodes of those series and many more on MeTV. I’m thrilled to have the chance to share a few of my favorite shows with fellow classic television enthusiasts," said Vince Gilligan. Vince has chosen MeTV shows he’d want on his own version of Gilligan’s Island. He’ll also have some help on the island; Better Call Saul star Bob Odenkirk will join him as they share stories and laughs about the MeTV shows they love. ‘Vince Gilligan’s Island of MeTV’ is scheduled to air on Sunday, April 5 from 6 - 10 pm ET. Weigel Broadcasting Co. is a Chicago-based business, family owned since 1965. Weigel and its affiliated companies own and operate network and independent television stations in Chicago, Milwaukee and South Bend, Indiana. In addition, Weigel is the leader in the multicast television network space with MeTV, Memorable Entertainment Television being the number one rated and distributed network in the space, as well as the MOVIES! TV Network in cooperation with the Fox Television Stations, Inc., H&I Heroes & Icons, plus the new DECADES Network in partnership with the CBS Television Stations. Noted columnist Sean Ross (Ross On Radio) ran a recent article about "What Happens When The Safe List Is No Longer Safe". For readers totally fed up with the redundancy that has become terrestrial radio these past few decades, you'll totally be able to relate to what Sean is saying ... not at all unlike what WE'VE been saying for the past fifteen years here in Forgotten Hits. For the last few years, most programmers in the "Greatest Hits" format have been programming mostly those '60s titles that endured with later generations. 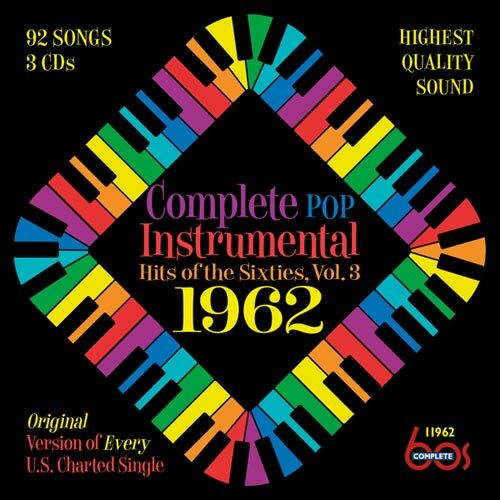 But now the '60s are down to almost nothing at many major-market Classic Hits stations. If there's no "safe list" for '60s songs anymore, what should those channels specializing in the '60s play? Should the format be given back to people who were there? Should there be a '60s format for people discovering the music now. They're questions we'll be answering about the '70s in the not too distant future. So what to do "When The Safe List Is No Longer Safe." FREE SHIPPING: NO CHARGE for SHIPPING of two or more CDs within the USA. (official release date is April 21). 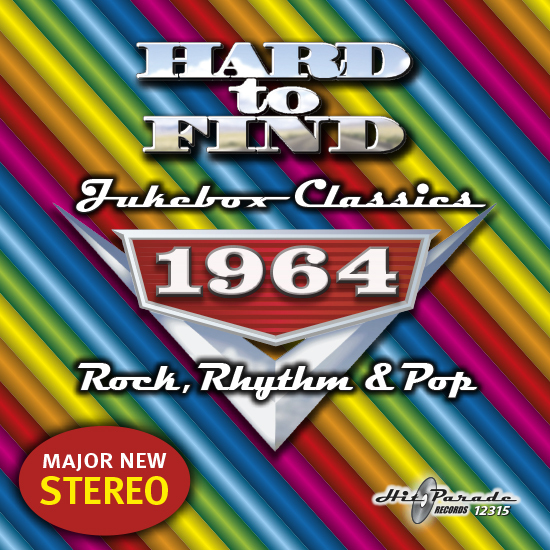 The fanatics at Complete 60s Records who brought you those remarkable 60s instrumental box sets now present a new 31-track collection of carefully selected 50s instrumental gems, a jukebox of unforgettable melodies with more than a half dozen major hits debuting in full three-dimensional wide stereo. Check out the SOUND SAMPLES to HEAR how amazing "The Poor People Of Paris" (Les Baxter, #1), "Canadian Sunset" (Winterhalter/Heywood, #2), "Cherry Pink & Apple Blossom White" (Perez Prado, #1 for ten weeks), and "Tequila" (The Champs, #1) sound in STEREO for the very first time. But don’t stop there! Sample some of the less-familiar tunes, too, and you’ll see why these infectious melodies will stay with you long after the CD has stopped playing. All original hit versions carefully mastered by two top sound engineers, plus notes & biographies for all 30 artists. Original reissue collections just don’t get more creative than this. 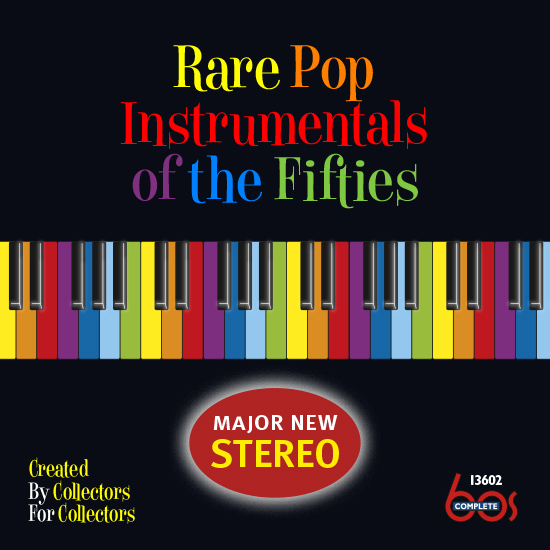 Instrumental Collectors Note: Looking for more volumes in the famous series Complete Pop Instrumental Hits of the Sixties? 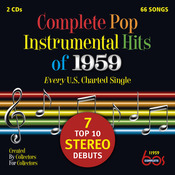 Email info@ericrecords.com for details about possible new volumes AFTER 1962. Includes the exciting STEREO Debuts of "The House of the Rising Sun" (The Animals); "Navy Blue" (Diane Renay); "Suspicion" (Terry Stafford); "Penetraton" (The Pyramids) and "Walking in the Rain" (The Ronettes). You won't believe your ears! Add faves by The Paris Sisters, Dean Martin, Matt Monro, Dusty Springfield and Herman's Hermits alongside soul classics like "Twine Time" and "Harlem Shuffle" (both stereo) and you've got the makings of another great CD in this terrific series. Meticulous mastering and a 12 page book with bios from Greg Adams just add to the fun! 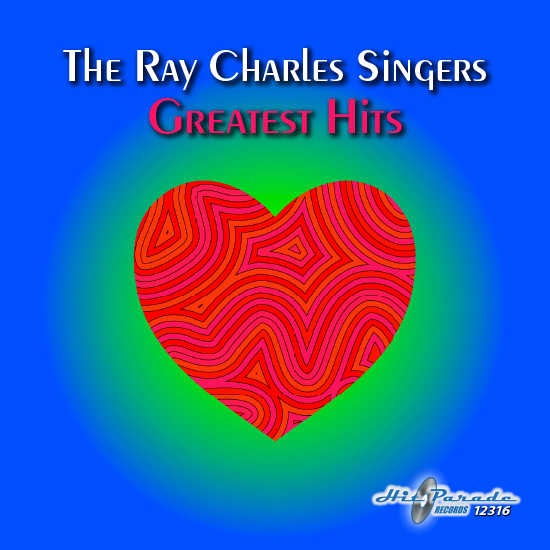 The Ray Charles Singers Greatest Hits is packed with 28 classic performances, in spectacular stereo sound, from one of the greatest choral pop groups of the 50s and 60s. Includes their major hits "Love Me With All Your Heart" and "Al-Di-La." Led by the "other" Ray Charles, The Ray Charles Singers backed Perry Como for 35 years and pioneered a soft choral sound that transformed traditional pop standards and classic love songs into exquisite, harmony-drenched confections for the ear. 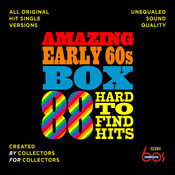 This collection contains recordings from their mid-60s Command Records era, when they created their best and most commercially successful music. Recorded in glorious stereo and audiophile fidelity by Enoch Light, these songs capture the group at their peak. Have you filed your IRS Form yet? The deadline is Wednesday, April 1st. After that, Rich Appel will tabulate all of the votes received and put together his annual countdown of the Top 1040 songs that meet YOUR criteria of It Really Shoulda ... Been A Top Ten Hit. Here’s everything you need to know about the 8th annual I.R.S. (“It Really Shoulda” been a Top 10 hit!). To file your I.R.S. form, simply go to http://www.musicradio77.com/IRS.html by the April 1st deadline. Everyone who files AND leaves his / her mailing address is eligible to win the prizes we’re giving away, such as the books Ranking the ‘60s http://www.amazon.com/Ranking-60s-Comprehensive-Listing-Golden/dp/1492156280 and the not-yet-out Ranking the ‘70s. Over the weekend preceding the deadline for that other I.R.S. - April 10 - 12 - Rewound Radio will play back this year’s I.R.S. 1040, based on the songs you declared on your I.R.S. forms. As always, we’ll count down the upper 10% - the I.R.S. Top 104 - that weekend: Part 1 starts 6 pm Eastern on Friday, April 10, on Bob Radil’s show; Part 2 plays back on “That Thing with Rich Appel,” on Sunday, April 12, at 6 pm Eastern. If you haven’t joined our Facebook group, where there’s currently lots of pre-I.R.S. activity, here’s where that is: https://www.facebook.com/groups/731369260214413/. For any other questions about I.R.S., email me anytime at IRS104@verizon.net. Thanks! And here's another Listen Live Link to Rewound Radio ... if you don't already have this great station bookmarked on your computer, do it NOW!!! It doesn't get any better than this for musical variety! We've heard from several of you that you really enjoy Shelley Sweet-Tufano's concert reviews ... in fact, Scott Shannon was even kind enough to drop her a line telling her so!!! ... so today we've got another one for you. It's Mohegan Sun time again! In the Wolf Den is Chuck Negron! The last time I saw Chuck at Mohegan, Floyd Sneed played, too. Floyd has had some recent personal losses in family, as well as losing former Three Dog Night bandmate Jimmy Greenspoon ... so Chuck's drummer, Frank Reina, will be appearing tonight. It was a thrill to see Floyd, but our 60's artists only choose the best ... so Frank is tops. I find myself enamored with lyrics at this show. Starting out with 'Family of Man', I hear: "deciding the fate of the family of man." I danced to this song, sang along with this song, but tonight THESE words pop out. You know what? Music can decide and / or explain the fate of the family of man. That thought assures I will NOT be listening to rap music. If that is the fate of the family of man ... I don't want to know. Chuck gives tribute to Jimmy verbally and vocally. 'Shambala', 'Liar', 'One Man Band' and Paul Williams' contribution 'Just An Old Fashioned Love Song'. Chuck is recovering from a bout of laryngitis which, if I hadn't been told he experienced, I would never have known. He must be tired out just from that, aside from the close four concert schedule he is finishing up. His joke about "I'm always glad to be here at Harrod's", pays tribute to road and jet lag. Back to my lyrical status: "Coming down in three-part harmony". Words from 'Just An Old Fashioned Love Song'. Wow ... really?? What perfect words for Three Dog Night with their three lead singers. 'Pieces of April' gives us the words "I keep them in a memory bouquet". I started thinking about all MY memory bouquets. What about yours? Can you reflect and bring them up to the surface again? "I want to let go of this mic stand, but I'll fall right over." hahaha. These are not lyrics, just Chuck being humorous and tired ... and still giving a great performance. As he introduces this next song, he says it's so old, it's from Roosevelt's New Deal. Not quite. More like Johnson's Folly and the counter-culture with 'Easy To Be Hard' from 'Hair'. "OK. I'm gonna take a quick nap." As his head hits the mic, he starts to chuckle. Oh look! CHUCKLE! Perfect word choice. I can understand the need for a quick snooze as we now go into 'Eli's Coming' with a different beginning arrangement by Howard and Danny. It would be qualified in the 'advanced' class of music; very intricate and involved. Chuck often says, "Eli must have been VERY bad to get this warning." I am thinking that Eli never stood a chance of sneaking up on anyone or anything if this song preceded him everywhere he went. Can you imagine having this song blaring out every time you went out a door? Poor Eli! Such bad karma! 'Never Been to Spain', 'Celebrate', 'Mama Told Me Not to Come' (which also hit the R&B charts when it was released) and 'One' roll out. One of Rob Grill's favorite lines was "Open up the window and let some air into this room," which is a tribute to 'Mama' and the wisdom she tried to impart. The final lyrical discussion in this review is from 'One'. "Two can be as bad as one." Oh yes indeed. Sometimes being a One is a much better choice than being a lonely Two. I am sure that almost everyone reading this can relate on some level. Hmmm, the power of the poem! The lyrics of the song! There is nothing I can really say about our final song: our friend Jeremiah. I mean he WAS a bullfrog. Of course he was just a "straight shootin' son of a gun", which could make him more of a danger than Eli. I don't think Jeremiah was afraid to say it as it is, or was. Chuck and musical team -- it was great and I want to applaud you, Chuck, for your patience in the autograph line. Mark and I could not stop rolling our eyes as the fans could not use their cell phones correctly to take pictures, kept you posing with Grandma ... then Grandpa ... then one with Grandma AND Grandpa. Oh how about the whole family? etc, etc, etc. I confess that when the man ahead of me pulled out four things for Chuck to sign, I laughed and said, "Oh let me go home and get MY album! It shouldn't take more than 2-3 hours. I'll hurry back!" The look Chuck gave me made me crack up in hysterics. I could barely get out the words, "I'm sorry. I couldn't resist. You've been SO patient." Please remember that a good audience and fan is JUST as important as a good performer. Finally, a thank you to my friends whose reserved seats from Chuck and Amy got bungled by the very young / new Wolf Den seating staff. I pulled them into line with me to get them inside and then they got their seats straightened out; at which time they pulled me into their reserved section. You didn't have to, but thank you! If some of the "locals" on the list would be interested in doing some type of a "meet" at the theater to watch the film together, please let me know and I'll see if we can arrange something. Meanwhile, catch this film anywhere you can ... you'll be VERY happy you did! Ron Smith's book, "Eight Days A Week", tells us that 3/21/1952 was "The Moondog Coronation Ball". 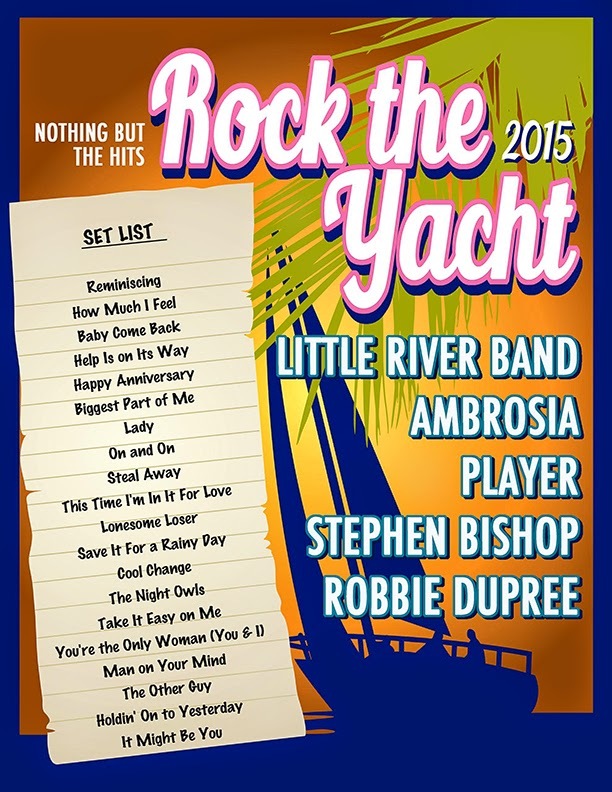 This event was considered to be the "First Rock Concert". That's why I say it was disgraceful conduct for the Rock & Roll Hall Of Fame to remove Alan Freed's ashes from the building. If it wasn't for Alan Freed, there would be no Rock & Roll Hall Of Fame. Are you a fan of Frankie Valli and the Four Seasons? Do You Love Jersey Boys? TWO Front Row Seats and a Meet and Greet with Frankie Valli when he returns to The Chicago Theatre on April 10th ... and a signed piece of Frankie memorabilia. Bidding starts at $500 and ends March 31st. Proceeds from the auction will support this year's Summer Music Theatre Outreach Program here at Star Plaza Theatre. Click here to listen to Scott Shannon's interview with Frankie Valli from last week on his WCBS-FM morning show ... this is a goodie ... and it's FREE! I just heard that Jorgen Ingman died = 3/21/15. Had a big hit with "Apache" in 1961. I bought that 45. "Apache" was a #2 Billboard Hit back in 1961. We featured it as part of our "Honest Injun" series several years ago. Jørgen Ingmann, the Danish guitarist who gave us the instrumental classic, "Apache" (#2-1961), died Saturday (March 21) at the age of 89. Born Jørgen Ingmann Pedersen in Copenhagen in 1925, he won the Eurovision song competition for Denmark with his wife Grethe with the song "Dansevise" in 1963. His only other American chart tune was "Anna" (#54), another instrumental, in 1961. Mike Porcaro, bassist with Toto after their "Toto IV" album in 1982 died from ALS Sunday (March 15). He was 59. His brothers Steve and the late Jeff Porcaro were original members in the group. Mike retired from the group because of his disease in 2007. He played on such singles as "Stranger In Town" (#30-1984) and "I'll Be Over You" (#11-1986). Andy Fraser, bassist with Free on "All Right Now" (#4-1970) and "Stealer" (#49-1971) died Monday (March 16) at his home in Temeculah, California. The London-born musician was 62 and had been diagnosed with AIDS and Kaposi's Sarcoma cancer, though no cause of death was given. A classically trained pianist, he switched to guitar at 13 and at 15 worked briefly with John Mayall's Blues Breakers, which led to a job as bassist with Free, where he co-wrote and co-produced both of the group's chart hits. After Free split up he worked in a variety of other British groups, including his own Andy Fraser Band, which released two albums. Besides "All Right Now" and "Stealer", he wrote "Every Kinda People," (#16) a 1978 hit for Robert Palmer that was re-recorded as a soft hit again in 1992. Michael Brown (nee Michael Lookofsky), keyboardist with the Left Banke and Stories, died Thursday (March 19) of unknown causes. He was 65. Michael's father, a session violinist, owned a recording studio in New York and produced, published and managed the baroque-oriented Left Banke when they formed in 1965. Michael wrote their two hits-- "Walk Away Renee" (#5-1966) and "Pretty Ballerina" (#15-1967), but when he recorded another-- "Ivy Ivy" (#119-1967) using studio musicians, the resulting friction caused the group to disband (though they later reformed without Michael and without any more hits). He went on to play with Montage before joining Stories, having been introduced to Ian Lloyd by their fathers. He stayed with the group for their first album and first three singles, including "I'm Coming Home" (#42-1972) and "Brother Louie" (#1-1973-- which initially was missing from the album). After forming the unsuccessful group, the Beckies in 1976, he eventually gave up music. British singer / songwriter Jackie Trent, who along with Tony Hatch wrote such tunes as "I Couldn't Live Without Your Love" (#9 - 1966) "Don't Sleep In The Subway" (#5 - 1967) and "Color My World" (#16 - 1967) for Petula Clark, died after what was termed a "long illness" Saturday (March 21) in a hospital in Minorca, Spain, where she lived. She was 76. As a singer, her only American chart appearance was "If You Love Me, Really Love Me" (#106 - 1964) but she reached #1 on the UK charts with "Where Are You Now (My Love)," used in the British TV series "It's Dark Outside" in 1965. Born Yvonne Burgess in Newcastle-Under-Lyme, England in 1940, she started as a child star. Signed by Pye Records, she began collaborating with one its producers, Tony Hatch, both in-and-out-of the recording studio. Their affair led to the dissolution of both their marriages and their own nuptials in 1967 (they were divorced in 2002). They are best remembered in Australia for writing the theme for the television program "Neighbours." FH Reader Tom Cuddy tells us about a concert event that'll be coming to Chicago later this year. River Edge Park is a beautiful venue out in Aurora ... it'll be nice to head out there again this summer! Thanks for the cool MP3s. It was interesting to see the different songs from each decade that were on the Billboard top spot at this time of the year. "Bridge Over Troubled Water" from 45 years ago is still a masterpiece. As far as the sampling goes, I tend to agree with your honey, Frannie, that there is indeed "nothing new under the sun." Over all I think the creative spirit has gotten "lazier" over time but I still am hopeful that there are many more songs yet to be written. Where's the creativity? By the way, Happy First Day of Spring to you too!